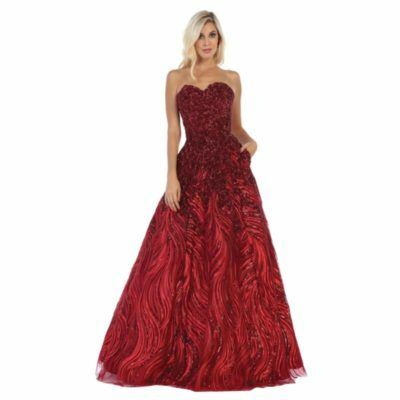 Floor length beauty with an intricate looking bodice? Perfect for prom night. Featuring a sculpted top and embellished detailed shoulders.